Hello there! Hope you all have been having a fabulous week! 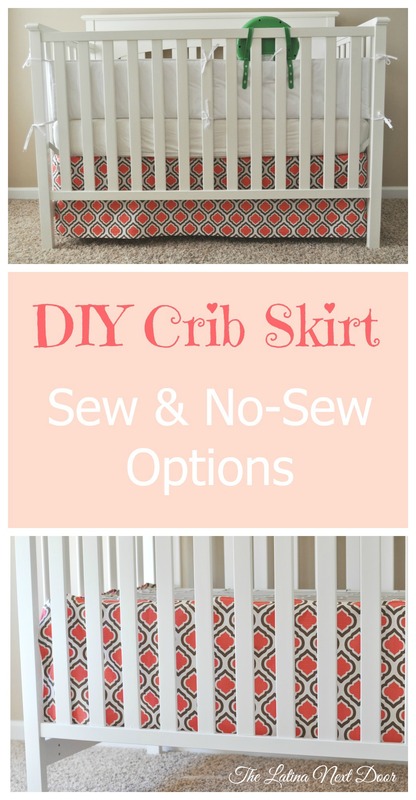 Today I am going to show you how easy it is to create your very own crib skirt. I am not the type to like “theme” bedspreads so naturally when I was trying to figure out how I was going to decorate my littlest’s nursery, I knew I was was going to do it myself. I wanted something easy because I knew I wasn’t going to use it forever, and easy it always good. 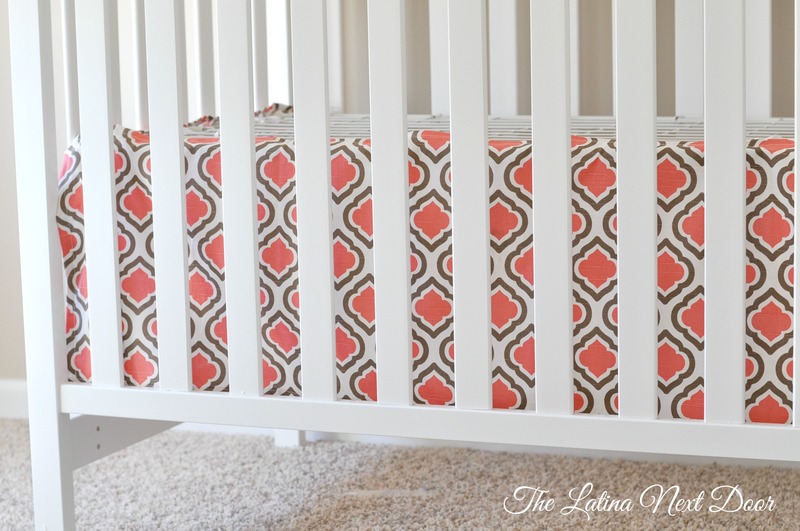 So here is the play by play for the purdy little crib skirt…. First you will need to pick the fabric of your choosing. I picked duck cloth because it has a little more weight than just cotton, but cotton will work fine. You can also use linen, it’s just a little harder to keep it ironed. 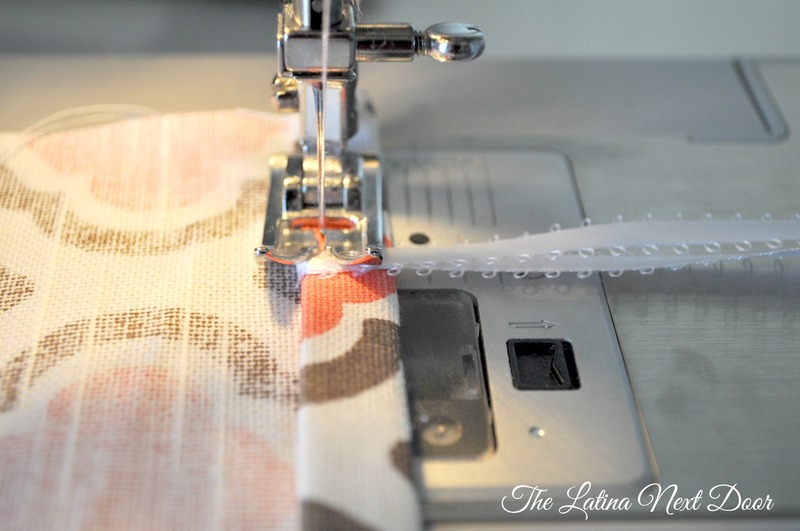 Once you hem the borders the measurements will be about an inch less which is what you want. 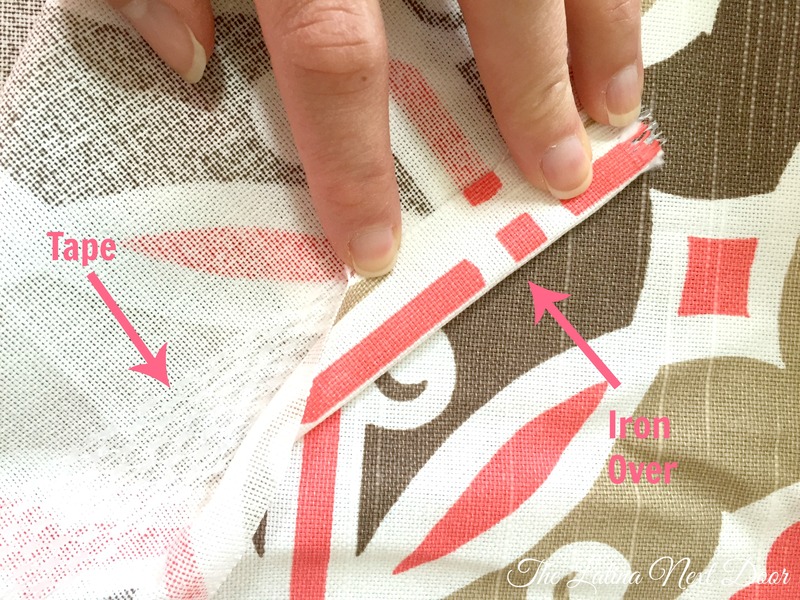 So first thing’s first – you need to sew the sides and the bottoms of each panel first. 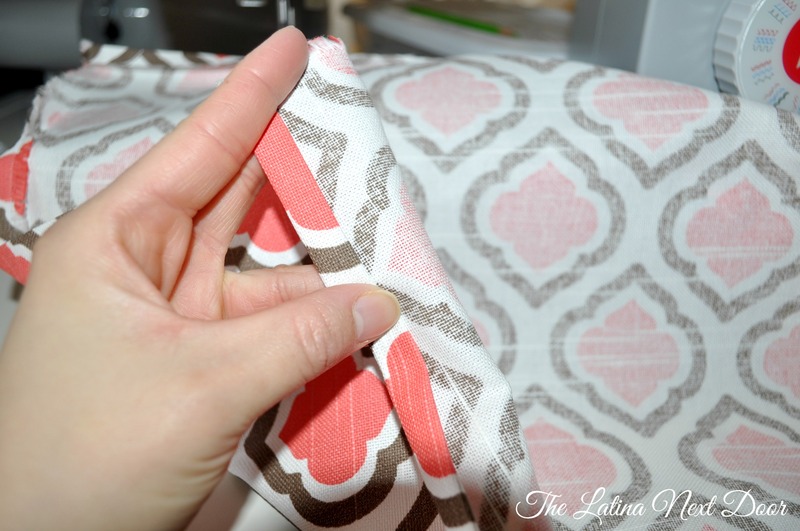 Leave the part of the fabric that will be the top part undone. Take your fabric and fold. I would suggest you iron it so it stays in place. 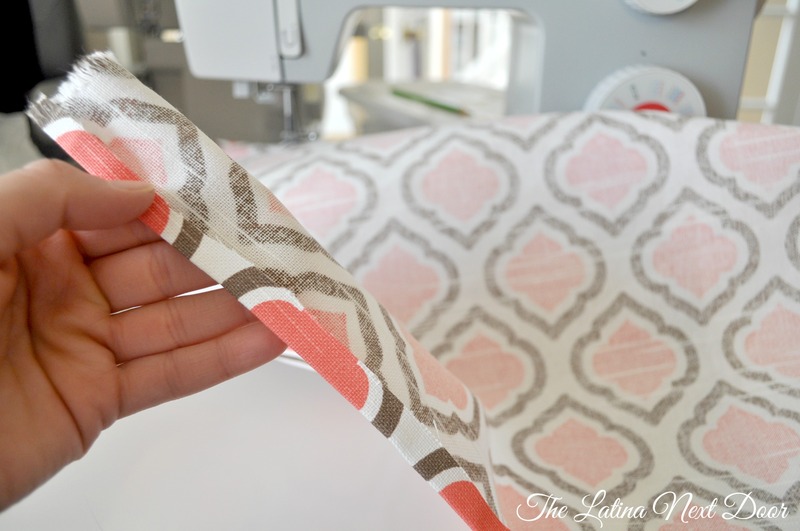 Sew the double-folded borders, staying close to the inner fold. Do this to all 3 sides. 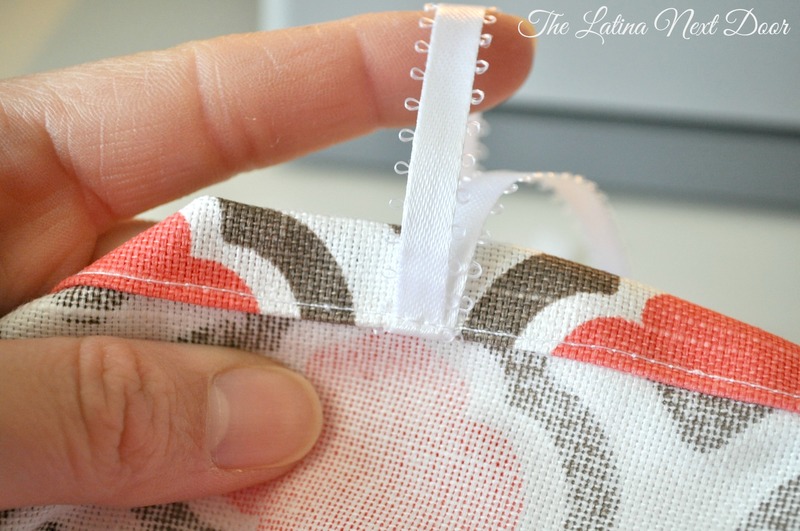 Then for the top part you fold like the rest, but this time you will add 7, 14″ inch long pieces of ribbon, folded in half by tucking them underneath the fold. See below. Secure it with a pin. Then when you position all 7 ribbons, you will sew the seem. 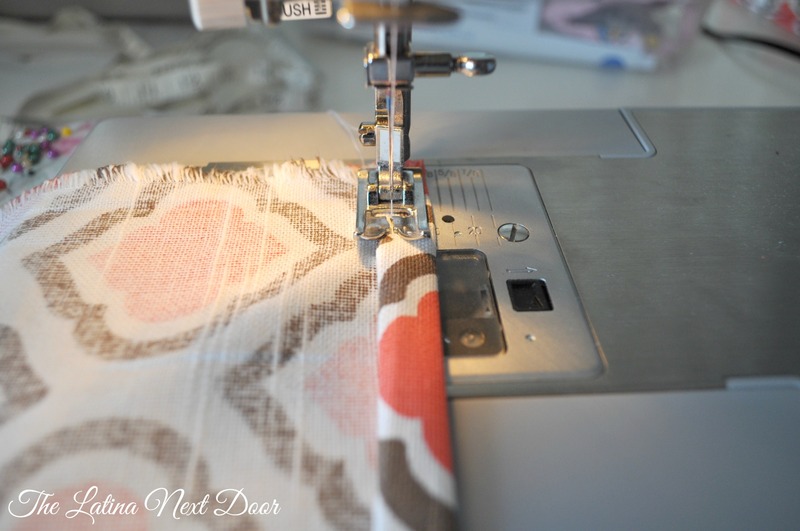 When you get to each ribbon you will flip the ribbon up as you are about to sew it. See below. 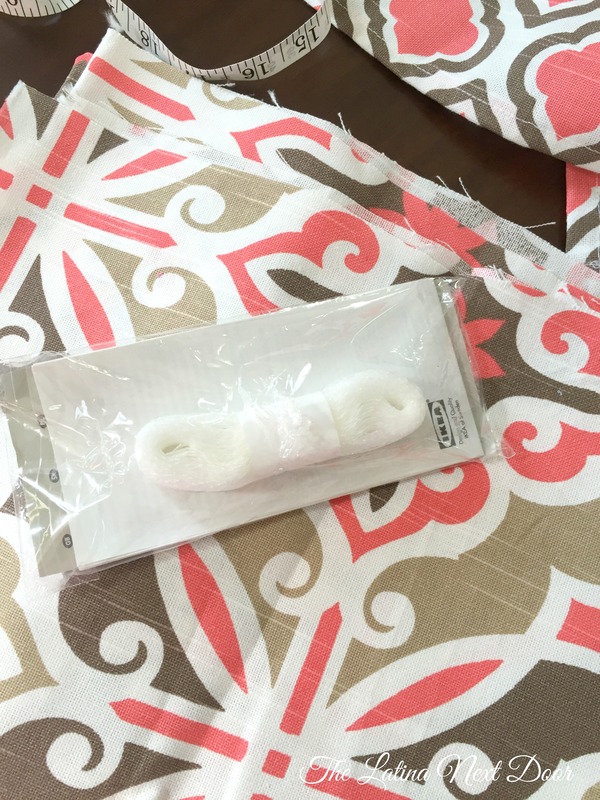 You do this so the ribbon sticks upward and not down behind the fabric since these are what you are going to use to attach it to the crib. Repeat this for all 3 panels. When attaching the panels start with the sides. All you do is tie them to the springboard. You want the fabric to come over the frame just a little bit. Then you do the front panel. 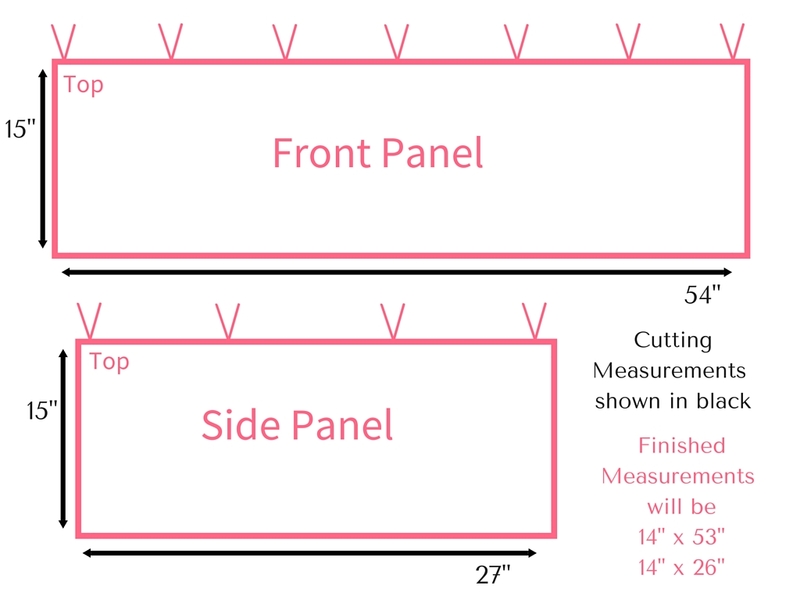 The front will overlap the side panels and that is okay. Here is the finished product. 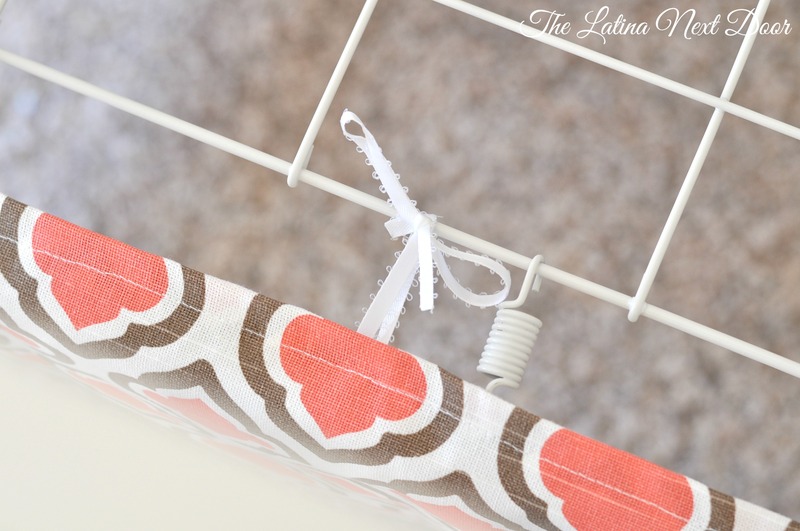 You can use iron on hemming tape. 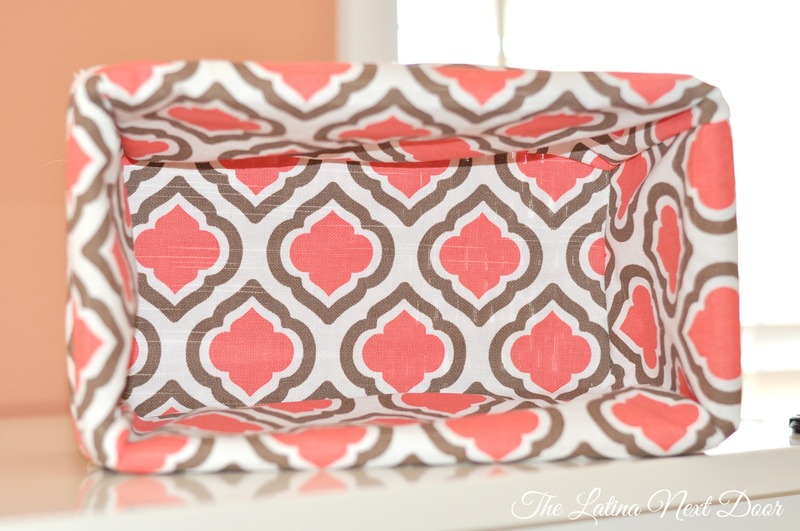 All you do is fold the fabric once over the tape. 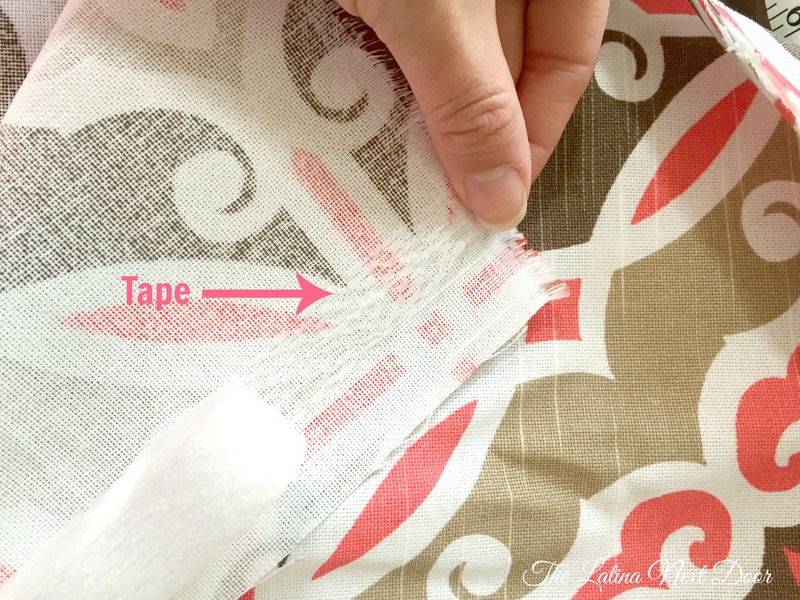 For the ribbon, you can cut a piece of tape and use it to fuse the ribbon onto the fabric or you can sew it on with a needle and thread….or if you are really lazy, you can use fabric glue. And that’s really it. 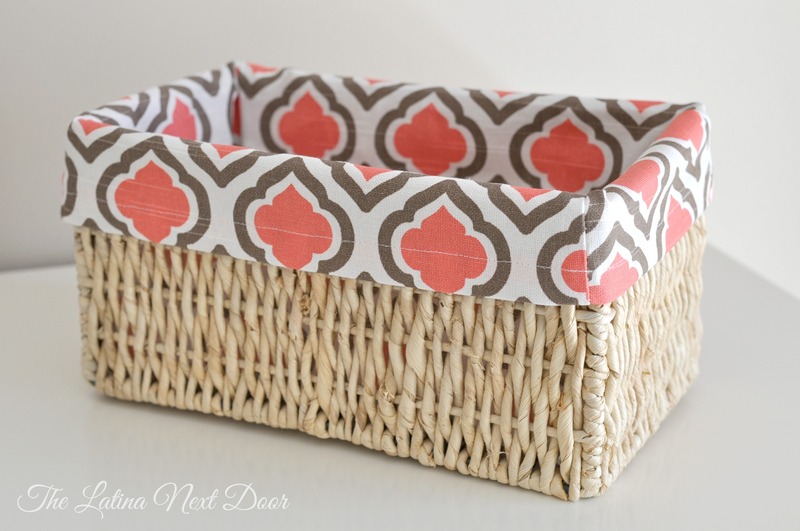 I even went above and beyond and made a matching basket insert. This is where I keep her diapers next to the diaper changing pad (which I also covered myself). Not bad for my first! 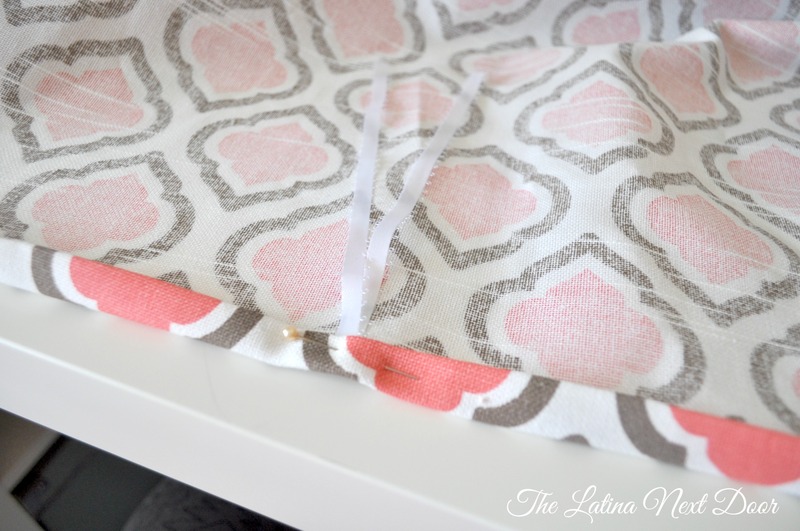 I hope you enjoyed this little tutorial and if you are like me or know someone who is and doesn’t like any of the animal print nursery bedding, you can personalize your nursery by creating easy little touches like these and just keep the fitted sheets etc. neutral. I would love to hear your thoughts or if you have any questions, shoot them below! 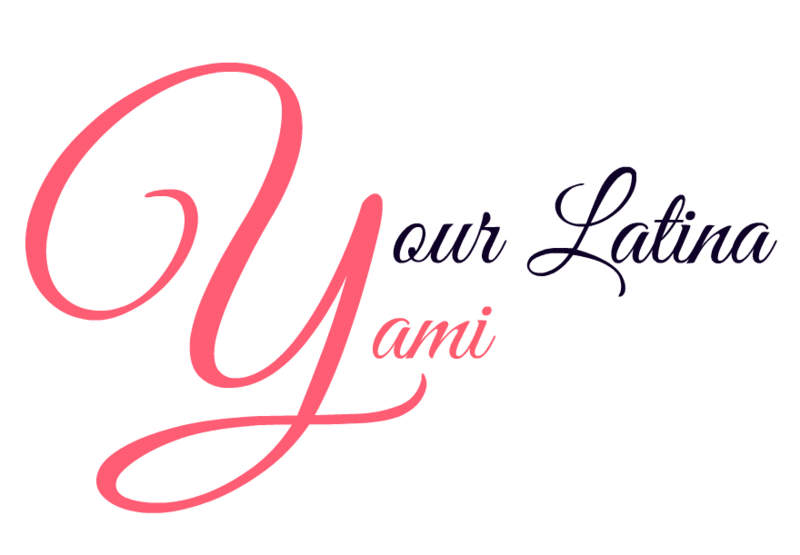 Yani–you broke this down really well––and it really pops and looks cheerful. I’m a little past cribs, and yet not quite ready for the next phase(grandkids!!) 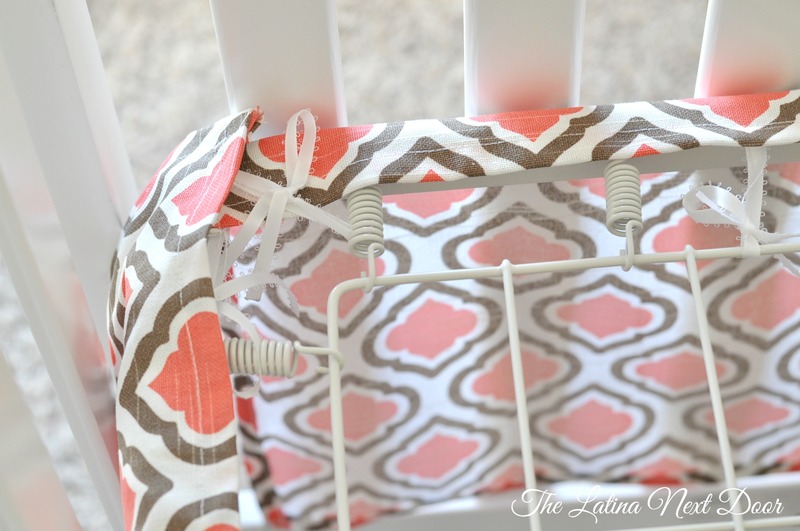 but the basket insert is really cute and could even be seasonal—-what I really love @ your posts is—again, I can actually see myself doing them! Thanks. Thank you so much for stopping by! I appreciate your feedback on the little skirt!